I just came from picking up my friends at Toronto’s main airport, Pearson International (YYZ). Like most airports these days Pearson has a “Cell Phone Lot” where people can wait for their friends & family without sitting on the side of the highway. 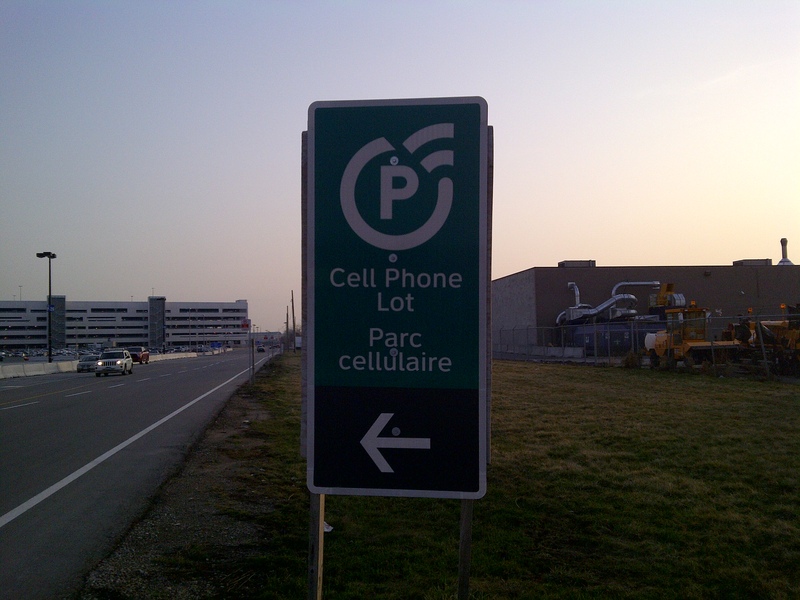 The one thing that puzzles me to this day about the way it is set up is in order to get to the Cell Phone Lot from the 401 West (the most direct route from Toronto) is to go through Terminal 1’s Arrival area. I’ve always wondered, doesn’t this just cause a bunch of unnecessary traffic in the Arrivals area? Shouldn’t they route traffic around the area? The route I am obligated to take from the 401 to the 409 through Pearson International to the Cell Phone Lot due to lack of signs. Maybe they do have a way to get to it but if they do I don’t know it and they certainly don’t have any signs like the one in the top picture on the highway to indicate the route to the lot. If there is a way there wouldn’t it be sensible to put up signs to that effect? I would think a fair number of people coming to the airport via the 401 to the 409 are going to pick up friends and family. 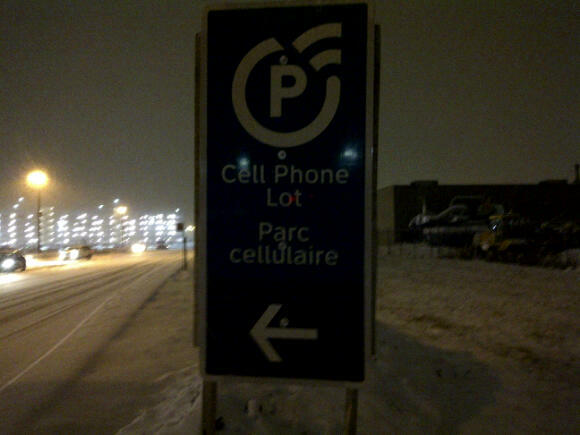 I often see lineups of cars parked along the 409 waiting for a call from friends and families because many people are clearly unaware that the Cell Phone Lot exists. Maybe the GTAA (Greater Toronto Airports Authority) or the City of Mississsauga and Regional Muncipality of Peel (where the airport is located) should go to where these lineups of cars ALWAYS are and put up signs directing them to the Lot. This is something to be looked into in my opinion. What do you think?